NEWS: Check out the awesome 100% synthetic hemp and sweet new cotton colours. We spin each rope with the utmost care. 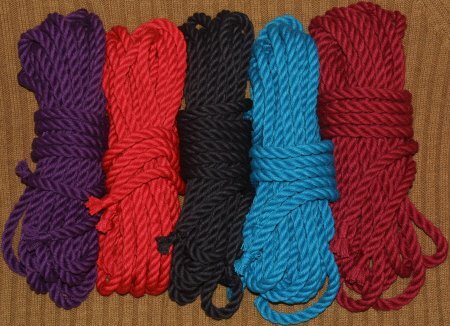 Click the rope bundles for more of what we create! To order, email us at info@handmaderope.com. 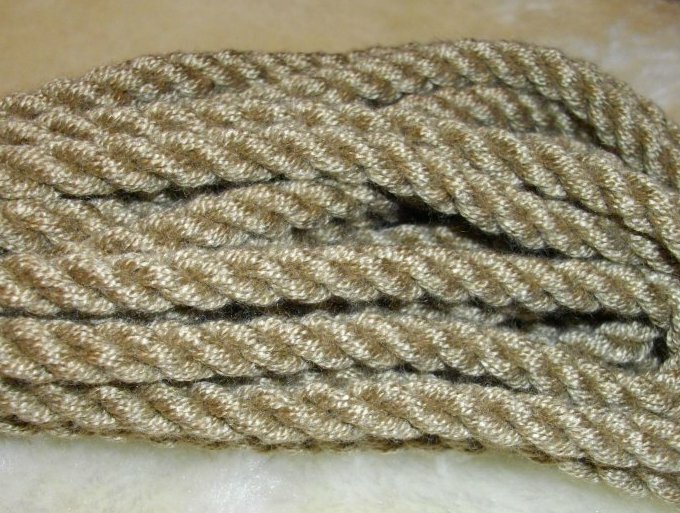 We'll make your order in the fibre, lengths, thickness and colours of your choice. Sewn ends are standard. Payment is by Paypal, money order, or cheque in Canadian dollars. We charge shipping at cost and we'll ship to wherever you are.